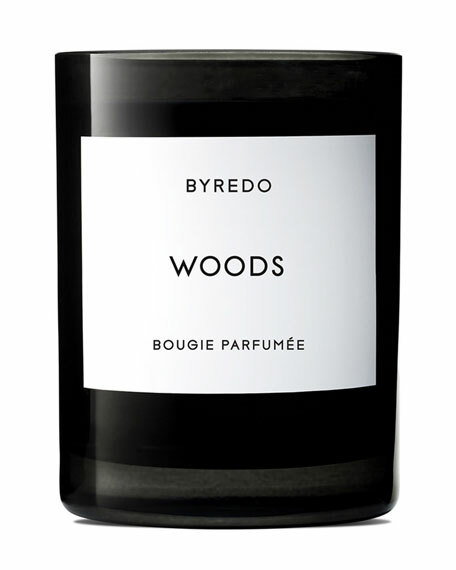 Byredo's collection of scented candles has added a new earthy fragrance that reminds a walk beneath the trees. Woods is a darkly enchanting woody fragrance that brings back in tune with nature. The formidable fireplace of a Scottish country pile: flames crackle over logs in the hearth, blackened by decades? ?perhaps centuries? ?of soot.